A story about a man and a dog. 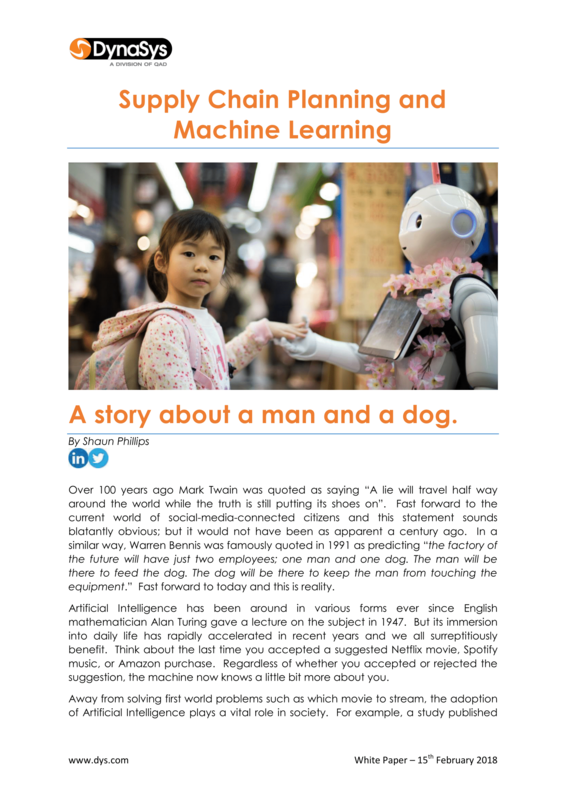 Artificial Intelligence has been around in various forms ever since English mathematician Alan Turing gave a lecture on the subject in 1947. But its immersion into daily life has rapidly accelerated in recent years and we all surreptitiously benefit. Think about the last time you accepted a suggested Netflix movie, Spotify music, or Amazon purchase. Regardless of whether you accepted or rejected the suggestion, the machine now knows a little bit more about you.